FIRST stands for “For Inspiration and Recognition of Science and Technology.” The goal of FIRST is to inspire today’s students to become the world’s next scientists, engineers, and technical leaders. FIRST does this by bring aspiring students together to compete in robotics competitions in an environment where communication, teamwork, and leadership are key for success. With the slogan “more than robots,” FIRST encourages not only technical pursuits, but teaches business, communication, volunteerism, and leadership. While FRC is for high school students, FIRST offers the following programs for all age groups. After students graduate, many come back to their home teams to mentor other students. For more information about FIRST and its mission visit the FIRST website. 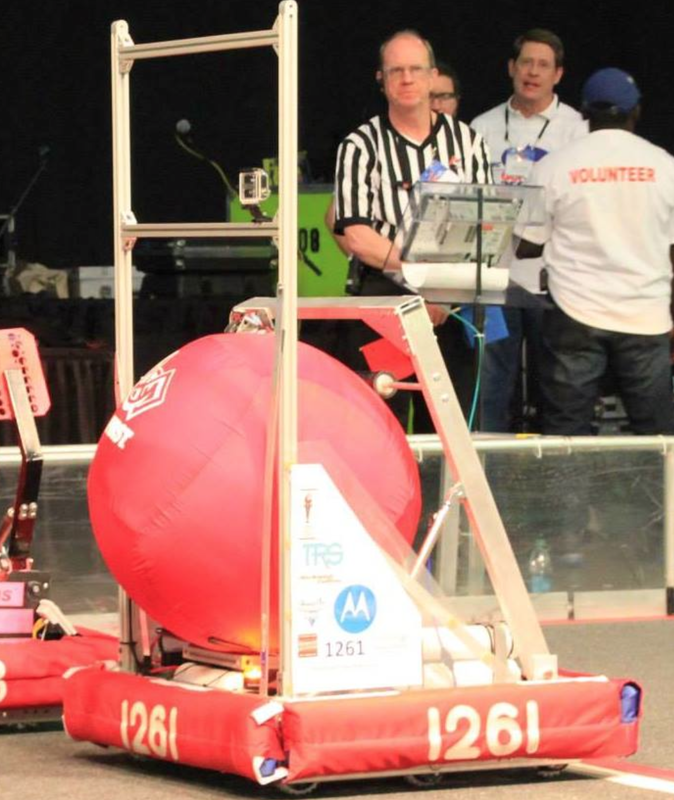 How is Peachtree Ridge Robotics involved with FIRST? The Robo Lions have competed in FRC (FIRST Robotics Competition) as team 1261 since 2004, when the team was founded. In this time, we have won 5 regionals as well as a number of other awards. In addition to FRC the team mentors FLL teams in elementary and middle schools around our school cluster. The team also attempts to spread the message of FIRST by hosting STEM nights at an elementary school level, and participating in events around the community such as parades and football games.